The 30th International Nursing Research Congress, 25-29 July 2019! 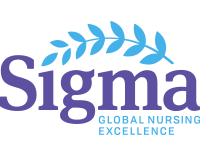 Join Sigma in Calgary, Alberta, Canada, to connect and engage with over 800 nurse researchers, students, clinicians, and leaders who are focused on evidence-based research. Explore innovative and collaborative research and evidence-based practice strategies that connect colleagues to improve global health outcomes.